This is a beautiful recipe. We have made it several times over the past couple years and each time it surprises me how good it really is. 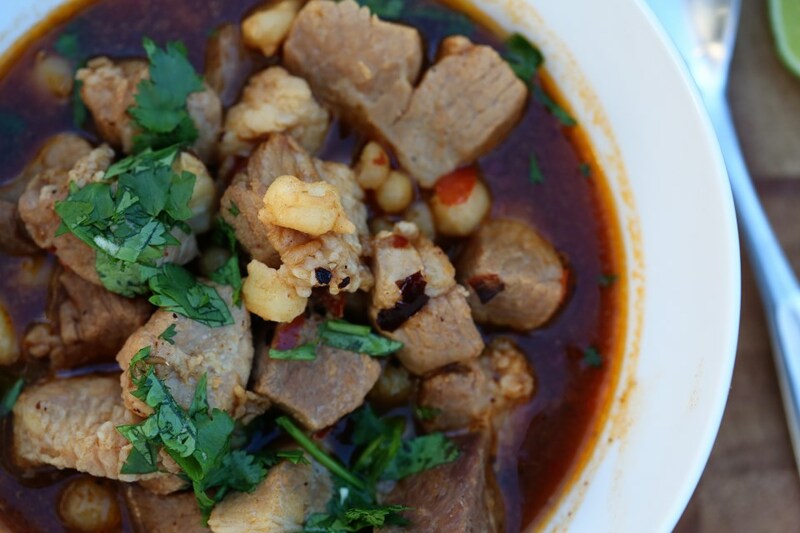 The warmth of the spices and the rounded flavors from the fatty pork, combined with the brightness of the cilantro hit the spot every time. It’s home in a bowl. This weekend looks to be dark and rainy for a lot of us across the Texas/New Mexico/Oklahoma region and I can think of no better recipe to make for staying inside and taking comfort in being home than this one. Serve it with tortillas or cornbread for extra comfort! I hope you are all well this week. And if you’re not, seriously, text me and let me know and I’ll bring you some soup. Drain hominy and put in large soup pot. Cover with water and bring to boil. Let simmer briskly for 30 minutes. Toast dried chiles lightly in cast-iron skillet or stovetop grill, just until fragrant. Wearing gloves, slit chiles lengthwise with paring knife. Remove and discard stems and seeds. Put chiles in saucepan and cover with 4 cups water. Simmer 30 minutes and let cool. In blender, purée chiles to a smooth paste using some cooking water as necessary. Purée should be of milkshake consistency. Season pork generously with salt and pepper. 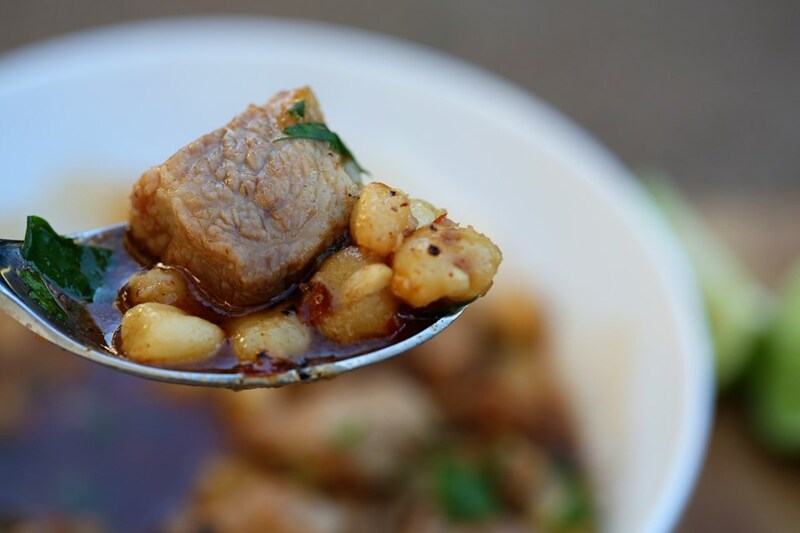 After posole has cooked 30 minutes, add pork shoulder, onion stuck with cloves, bay leaf, garlic and cumin. Add enough water to cover by 2 inches, then return to a brisk simmer. While adding water occasionally and tasting broth for salt, simmer for about 2 1/2 hours more, until meat is tender. Skim fat from surface of broth. 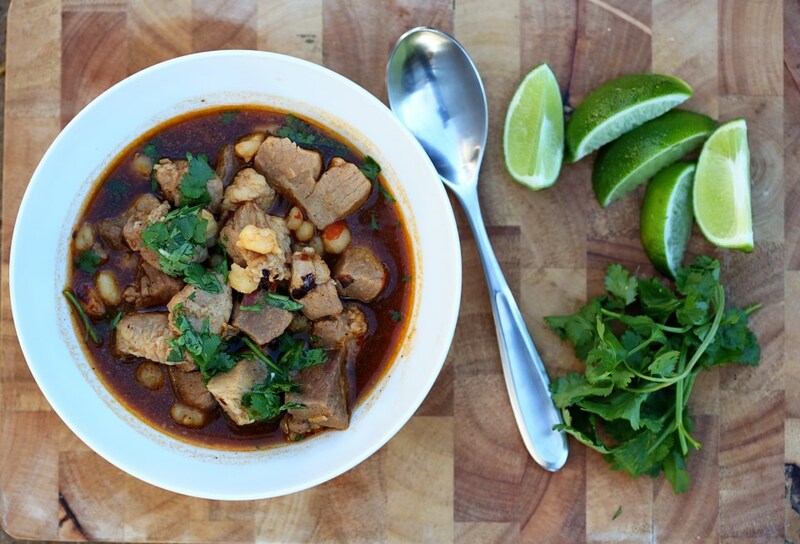 To serve, ladle posole, meat and broth into wide bowls. 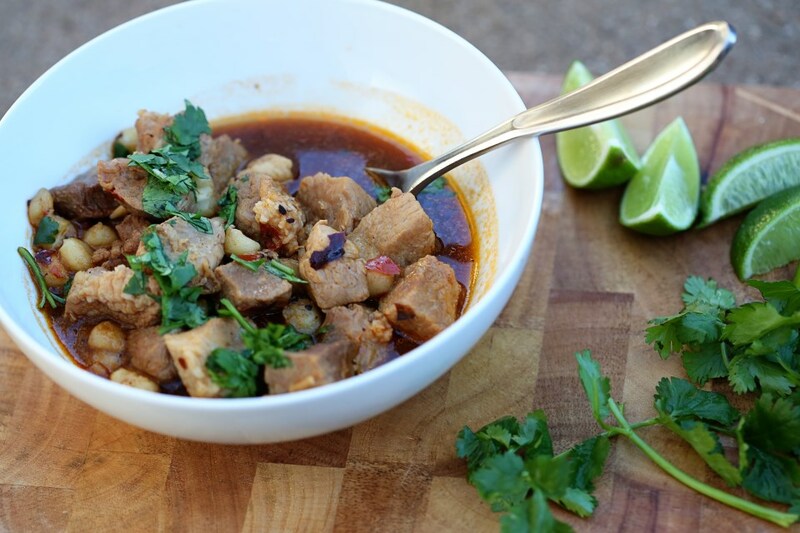 Pass bowls of diced onion, lime wedges, cilantro and oregano, and let guests garnish to taste.